UNPO is pleased to present its new report: “From Occupied Gilgit-Baltistan to Gwadar: Human Rights in Pakistan”. From enforced disappearances to extrajudicial killings, torture, the persecution of activists, violence against children and women, evictions without compensation and non-observance of the rights to fair trial or to freedom of speech and assembly, Pakistan has been systematically violating international law. 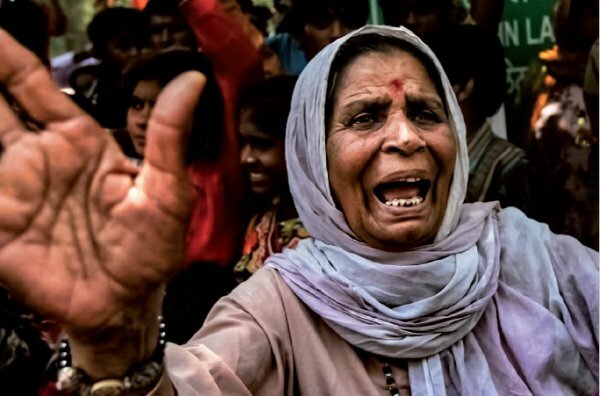 UNPO’s latest report sheds light on how the human rights situation for ethnic and religious minorities in Pakistan has regrettably not improved in recent years, especially for those living in Sindh, Balochistan, and Pakistan-occupied Gilgit-Baltistan. While Pakistan currently enjoys immense tariff benefits from the European Union under the GSP+ framework, Islamabad’s abysmal failure to implement the necessary human rights conventions remains a serious concern for the protection of the country’s minorities. For over sixty years, Pakistan-occupied Gilgit-Baltistan has had neither political autonomy nor a working legal system to provide human rights protection for its indigenous peoples, resulting in constant human rights violations, slow economic development and growing sectarian violence. In Balochistan and Sindh, ethnic and religious minorities endure severe persecution by state forces and terrorists. These communities are repeatedly targeted by the controversial and often misapplied Blasphemy and Anti-Terrorism Laws, while the moratorium on the death penalty has been lifted. In addition, local indigenous communities have not been given voice in the decision-making processes of mega-development projects, such as the China-Pakistan Economic Corridor (CPEC), despite being directly affected by these projects. Many have faced evictions without compensation; these ventures pose a severe threat to their environment, natural resources and cultural heritage. Under the GSP+ framework (Special Incentive Arrangement for Sustainable Development and Good Governance), trade incentives make the European Union a major stakeholder in Pakistan. Respect for human rights – more specifically, the ratification and effective implementation of 27 international conventions – is a central requirement for GSP+, which grants removal of tariffs on multiple products. In light of the worrying situation on the ground, UNPO urges the European Union to take a firm stand regarding its relations with Pakistan, reminding the country of its obligations under international law and condemning the illegal occupation of Gilgit-Baltistan. While the European Commission acknowledges the gross violations in the country, it is necessary to ensure that the Pakistani authorities take concrete action and to call for an immediate halt to human rights violations, of which minorities are the main victims. In the last month, UNPO also submitted reports to the Office of the United Nations High Commissioner for Human Rights (OHCHR) for the consideration of the 3rd Universal Periodic Review of the Islamic Republic of Pakistan. These reports can be read and downloaded here and here.